organizations to increase the generalizability of the results. Akour, I. (2006). Factors influencing faculty computer Literacy and use in Jordan: A multivariate analysis. Doctoral Dissertation, Louisiana Tech University. 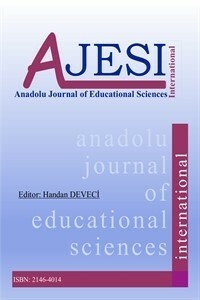 Amani, saribagloo J., lavasani, G., Ejei, J., & Khezriazar, H. (2011). The Relationship between Cultural Values and Individual Variables with Computer Use among Students. Journal of Behavioral Sciences, 5(1), 1-10. Brizendine, L. (2006). Female Brain. Translated by Firouzeh Sepehrian Azar, (2011). Tehran: Roshde farhang. (in Persian). Carreira, J. M. (2012).Motivational orientations and psychological needs in EFL learning among elementary school students in Japan. System, 40, 191-202. Chen, C. C., Fosh, P., & Foster, D. (2009). Gender Differences in Perceptions of Organizational Cultures in the Banking Industry in Taiwan. Journal of Industrial Relations, 50, 139-156. Deci, E. L. & Ryan, R. M. (2000). What and why of goal pursuits: human needs and the self- determination of behavior. Psychological Inquiry, 11(4), 227-268. Deci, E. L., Ryan, R. M., Gagne, M., Leone, D. R., Usunov, J., & Kornazheva, B. P. (2001). Need satisfaction, motivation, and well-being in the work organizations of a former eastern bloc country: A cross-cultural study of self-determination. Society for Personality and Social Psychology, 27, 930-942. Ejei, j., Khezriazar, H., Babai, M., & Amani, j. (2009). A structural model of relationships between the perceived teacher autonomy support, basic psychological needs, intrinsic motivation, and effort. Journal of Research in Psychological Health, 2(4), 47-56. Evans, P., McPherson, G. E. & Davidson, J. W. (2013). The role of psychological needs in ceasing music and music learning activities. Psychology of Music, 41(5), 600-619. Gagne, M., Ryan, R. M., & Bargmann, K. (2003). Autonomy support and need satisfaction in the motivation and well-being of gymnasts. Journal of Applied Sport Psychology, 15, 372-390. Ghalavandi, H., Amani Saribagloo, J., & Babai, M. (2012). Students' basic psychological needs and the school culture: a focal analysis. Quarterly Journal of New Thoughts on Education, 4(32), 9-28. Greguras, G. J., & Diefendorff, J. M. (2009). Different Fits Satisfy Different Needs: Linking Person-Environment Fit to Employee Commitment and Performance Using Self- Determination Theory. Journal of Applied Psychology, 94(2), 465-477. Gunnell, K. E., Crocker, P. R. E., Mack, D. E., Wilson, P. M. & Zumbo, B. D. (2014). Goal contents, motivation, psychological need satisfaction, well-being and physical activity: A test of self- determination theory over 6 months. Psychology of Sport and Exercise, 15, 19-29. Hadizadeh Moghadam, A. & Assar, P. (2008). The relationship between national culture and E- adoption: A case study of Iran. American Journal of Applied Sciences, 5(4), 369-377. Hedayati. S., H. (2006). The Model Cultural Strategic Management- Case of Iran. Doctoral dissertation, Graduate Institute of Management and Planning. Hofstede, G. (1980). Cultural consequences: International differences in work-related values. Beverly Hills, CA: Sage Publications. Hofstede, G., Hofstede, G. j., & Minkov, M. (2010). Culture and Organization: Software of the Mind. (3ed). New York: McGraw-Hill. Ilardi, B. C., Leone, D., Kasser, R., & Ryan, R. M. (1993). Employee and supervisor ratings of motivation: Main effects and discrepancies associated with job satisfaction and adjustment in a factory setting. Journal of Applied Social Psychology, 23, 1789-1805. Lam, C. F., & Gurland, S. T. (2008). Self-determined work motivation predicts job outcomes, but what predicts self-determined work motivation? Journal of Research in Personality, 42, 1109–1115. Reeve, J. M. (2009). Understanding motivation and emotion (5ed.). New York: Wiley. Ryan, R. M., Sheldon, K. M., Kasser, T., & Deci, E. L. (1996). All goals are not created equal: An organismic perspective on the nature of goals and their regulation. In P. M. Gollwitzer& J. A. Bargh (Eds. ), the psychology of action: linking cognition and motivation to behavior. New York: Guilford. Srite, M. (2000). The influence of national culture on the acceptance and use of information technologies: An empirical study. Doctoral dissertation, Florida State University. Srite, M., Thatcher, J. B., & Galy, E. (2008). "Does Within-Culture Variation Matter? An Empirical Study of Computer Usage", Journal of Global Information Management, 16(10), 1-25. Teo, T. & Noyes, J. (2012). Explaining the intention to use technology among pre-service teachers: a multi-group analysis of the Unified Theory of Acceptance and Use of Technology. Interactive Learning Environments, DOI: 10.1080/10494820.2011.641674. Viira, R. & Koka, A. (2010). Gender effect on perceived need support from the teacher and peers in physical education. Acta Kinesiologiae Universitatis Tartuensis, 15, 101-109.